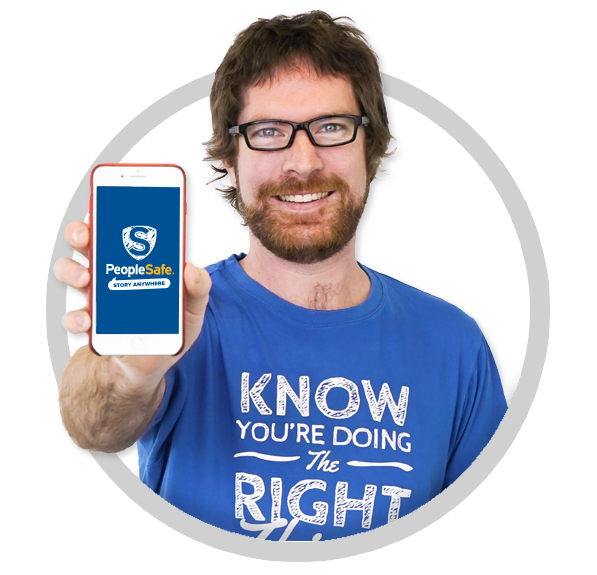 PeopleSafe helps your teams shift their health and safety focus from compliance to actually keeping people safe. Less paperwork, more teamwork. PeopleSafe is Cloud Software and a Mobile App that is common-sense, fast and even fun! Use the PeopleSafe health and safety policy to make your commitment to following our simple processes to find and manage your risks. Your team can download the mobile app and start having conversations and communicating safety events today. No hassles or stress to get your business up and running. In under an hour you'll have a tool that brings everything together to make work safer. It's the basics that make work safer. By keeping things simple you can take action around the issues that matter. Keep focused on the big stuff that is most likely to hurt people. Forget the crazy what if, never in a million years risks. Making sure everyone knows how they can make a difference. If things are risky, they need to speak up. If there is a plan to stay safe, you need to follow it. If you're all good to go, sign up and book your set up session today. We'll help you get setup, no hassles and we promise to keep it simple. Get your team to download the app and start having the conversations. PeopleSafe makes sure those conversations happen. The mobile app makes it easy for you to collect the stories that happen in your business. It takes less than 30 seconds. When you make decisions around managing your risks, keeping records helps. We call them Safety Plans. We help you kick start safety conversations. The software kicks paperwork to touch.